I hope that you’re all doing well. 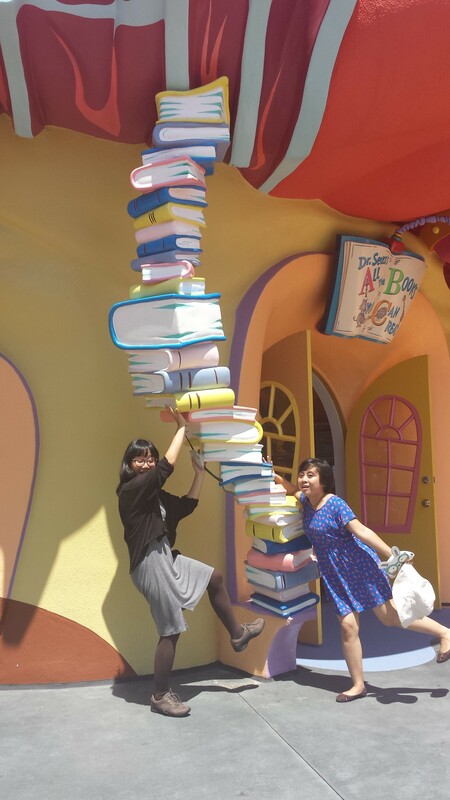 I’m doing quite well, trying to juggle with my departure preparations, teaching, japanese lesson, and music jobs, quite busy but happy 🙂 So today I will try to continue my writing about my USA trip although i know it’s really late 😀 This will be my last post about USA and I will write about Universal Orlando Resorts. 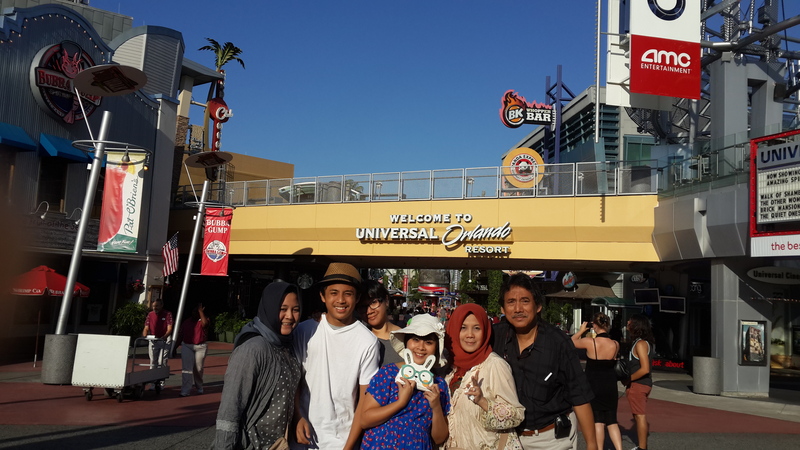 So, if you’re visiting Orlando, beside visiting Disneyland you also have to visit Universal Studios Orlando! This Universal Orlando Resorts is huge, unlike the Singapore and Osaka park. It has two separate parks, Universal Studios Florida and Island of Adventure. In Universal Studios Florida you will find more Universal Studio-themed ride like Shrek, Despicable Me, Man in Black, and many more. However, in Island of Adventure you will get much more unique experience with more interesting rides! Get your pre-booked ticket ready, have your finger scanned and off you go to this spectacular Island of Adventure! This park consists of 6 area, from Seuss Landing, The Lost Continent, Jurassic Park, Marvel Superhero Island, and the Wizarding World of Harry Potter. 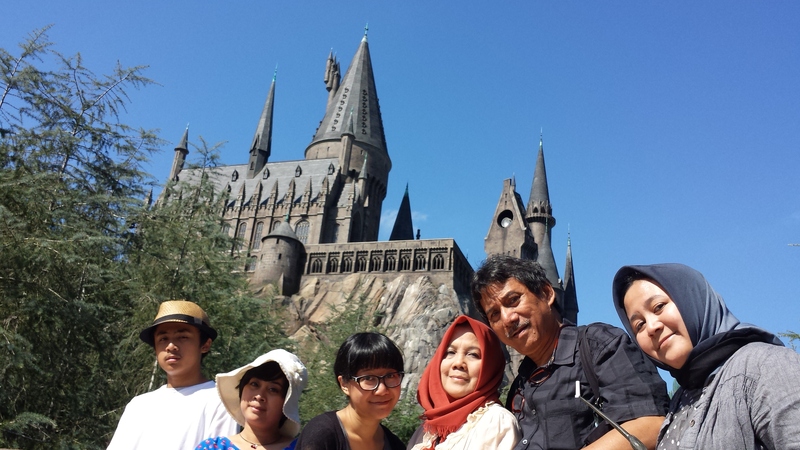 But this park is especially famous for the Wizarding World of Harry Potter area! I could recall that when finally the park gate was opened, everyone was racing through this area, everyone wanted to visit this area first before it got too crowded! 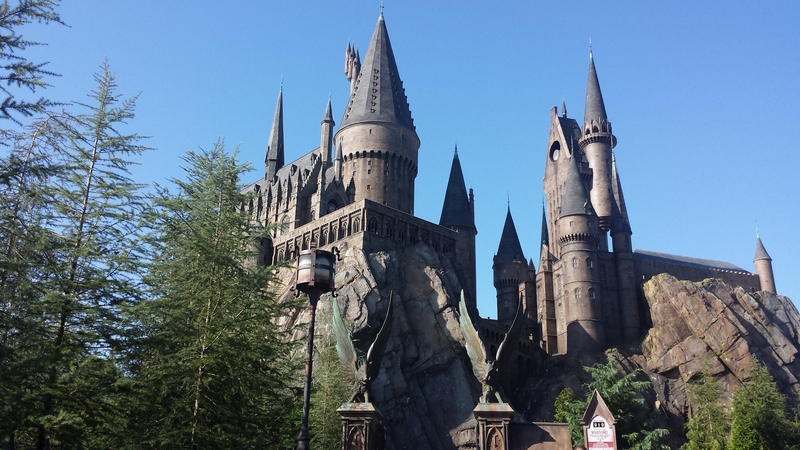 If you are a big fan of Harry Potter, you MUST visit this area! 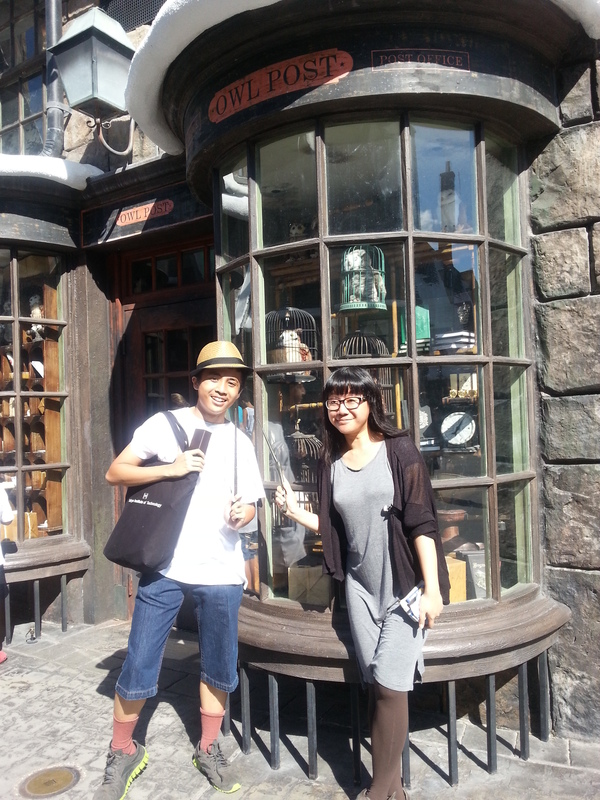 This area is like a recreation of Harry Potter movie, everything is so similar to the movie! (with real size Hogwarts School and Hogsmeade plus all the shops like Honeydukes, Ollivander and you can even dine at Three Broom Sticks). Take a peek on some of my pictures! 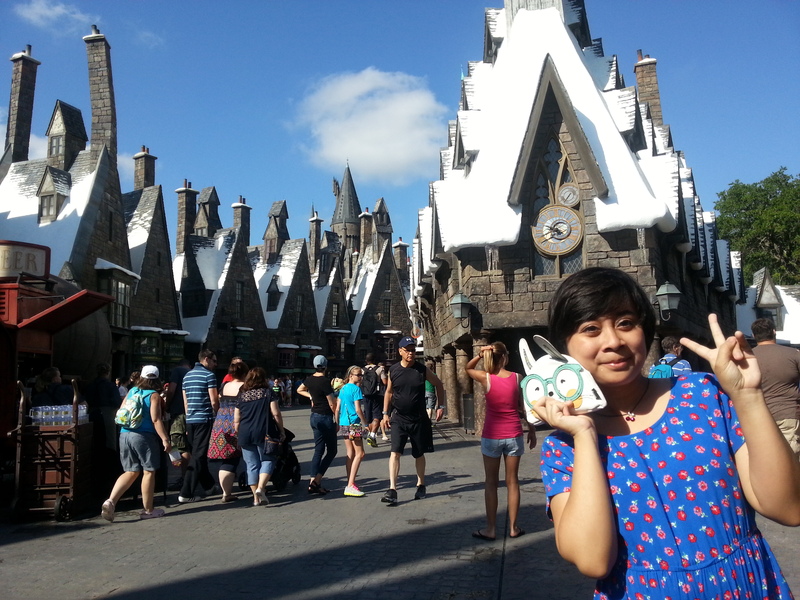 hello there, Hogwarts School of Witchcraft and Wizardy! 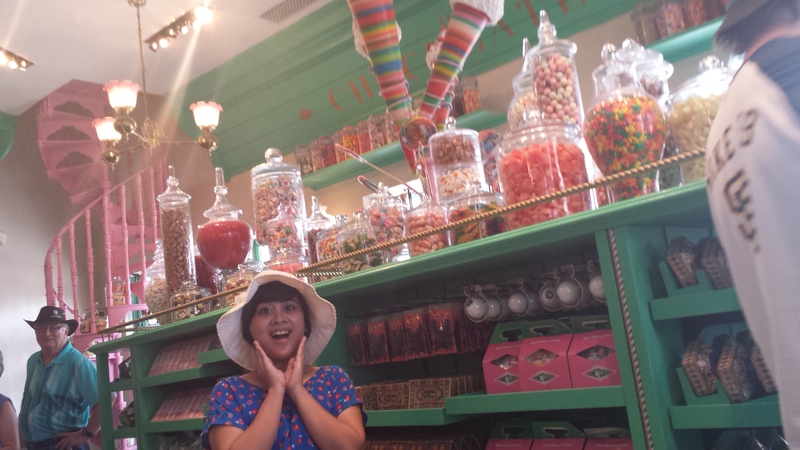 I love Honeydukes! 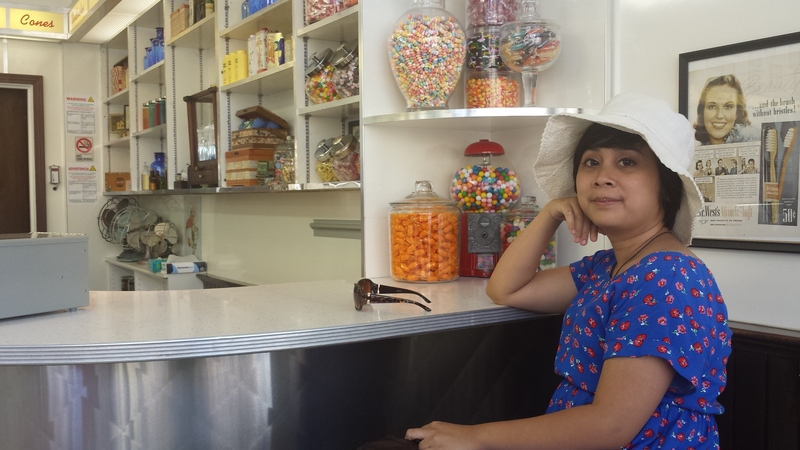 You can buy Bertie Bott’s Every Flavor Bean here! 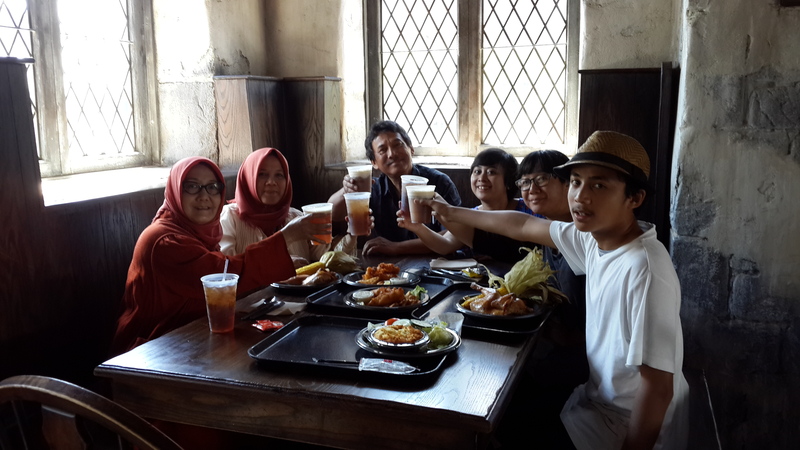 Good meal with Butter beer in Three Broom Sticks! For the ride, the legendary ride here is the Harry Potter and the Forbidden Journey! To take the ride you have to pass and wander inside Hogwarts first (which was really really amazing). 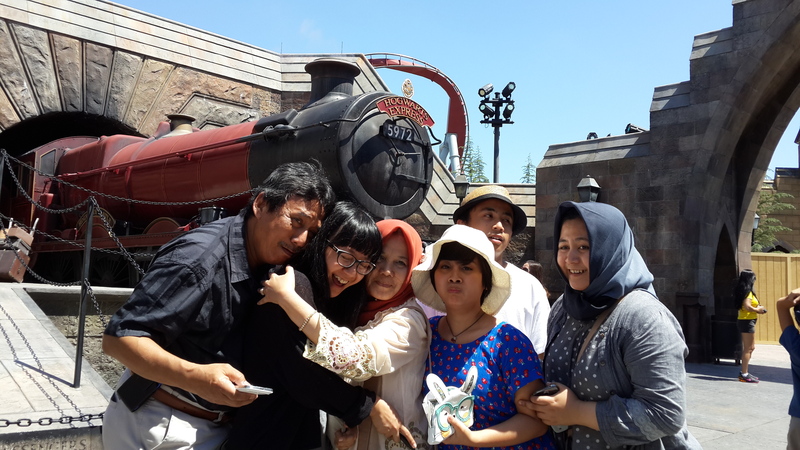 The ride itself is about Harry, Ron, and Hermione’s broom ride, it was quite thrilling and scary for a coward like me (it involves a lot of tilting, jolting, and acceleration). But good news is, you can only stroll around Hogwarts and leave the queue for not taking the ride 😀 But although it was quite scary for me, I think the ride was really spectacular! In the Lost Continent, the famous ride was of course Jurassic Park River Adventure, but beware, you will get wet on this ride! The area is much larger than Universal Studios Singapore Area, thus enabling us to see more kind of dinosaur. This ride also has the same feature like USS, when we’re nearly caught by Tyrannosaurus Rex and goes into a terrifying plunge. The plunge was 26 m in height and really terrifying (again, for me). We did not really explore on The Lost Continent (which features Poseidon Furry) and Toon Lagoon. We did stroll on Seuss Landing, because i am really fond of Cat in The Hat, everything in that area is so colorful and cheery! The last area was Marvel Super Hero Island, it has its legendary Hulk Coaster, but of course we did not ride that. We tried the Spiderman Adventure, such a fun 3D adventure! 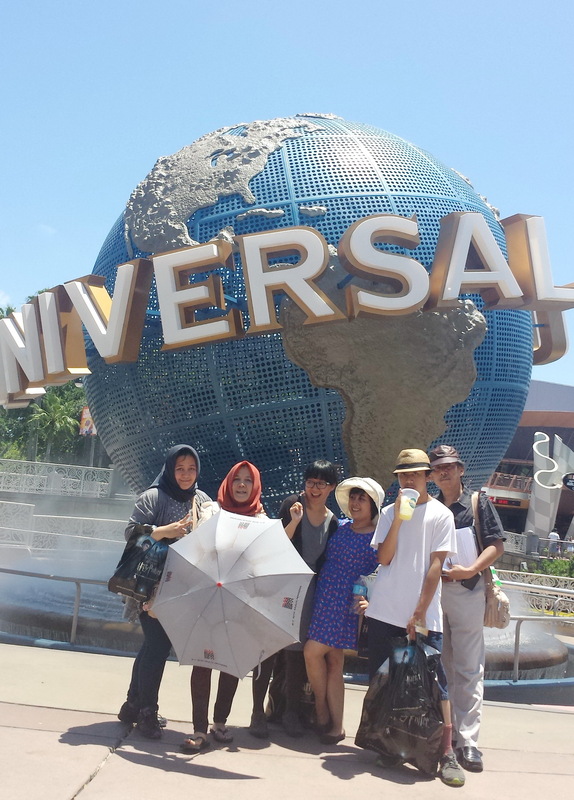 We spent half day in Island of Adventure and moved to Universal Studios Florida. 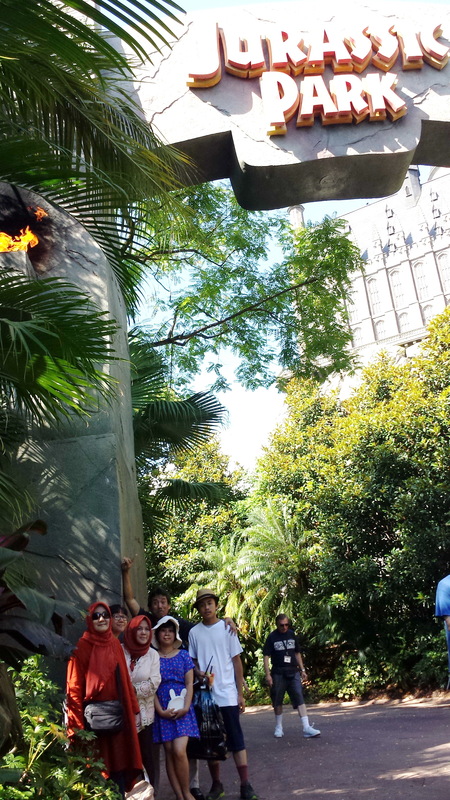 Before you got inside don’t forget to take a picture with the legendary Universal Studios enermous globe! Ok, the heat was really scorching that moment so we did not visit so many attractions in this park. 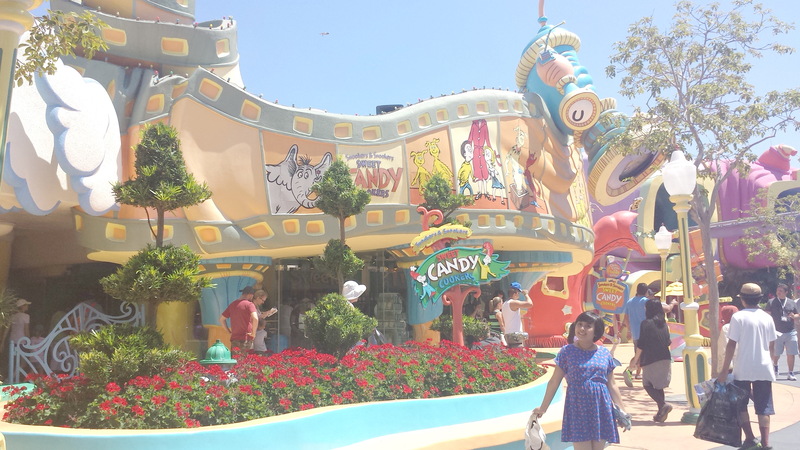 This park has all Universal Studios classic attraction like Shrek 4D (no matter how many times you watch this, i guess you will never get bored! ), Transformers 3D, and the famous Revenge of the Mummy indoor coaster (which i will never want to ride again). 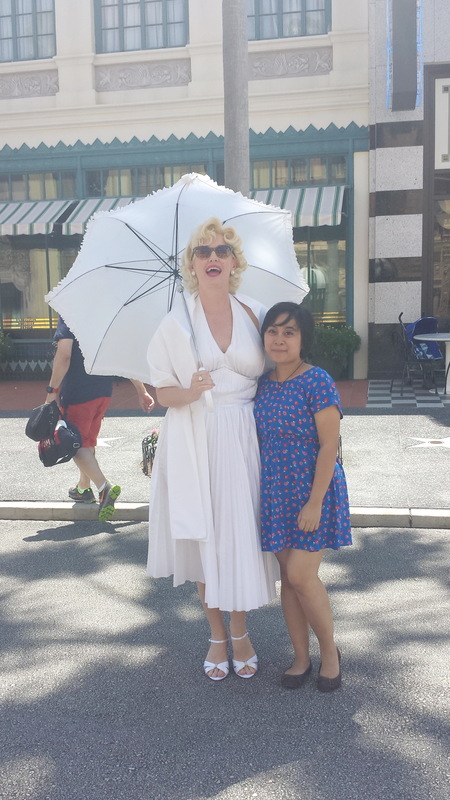 You can also stroll on the New York area, taking pictures with Hollywood Star like Marilyn Monroe and have a scoop of Ben and Jerry’s ice cream to quencher your thirst! Ben & Jerry’s Shop, really fancy! 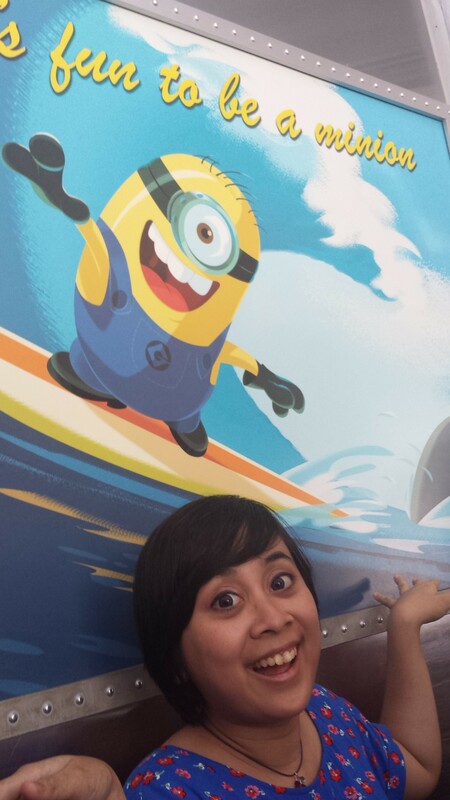 So that was my story in Universal Resorts Orlando. What can i tell? As a theme park, this park gives a different kind of sensation from Walt Disney World. It is not as ‘magical’ as Disney World but i can really tell that the decoration and landscaping was made rally really detail! So guys, i recommend you to visit both this place and Disney World when you visit Orlando. 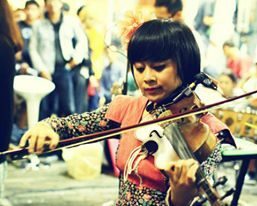 It’s such an interesting experience that you will never forget!